Social media sites such as LinkedIn can be great tools for professional networking. Not only can you use LinkedIn to connect with other professionals and businesses, but you can also use it to build stronger relationships with customers. If you want to create connections with your customers, LinkedIn Groups can be the perfect solution. After all, online marketing Chicago style – or anywhere else for that matter – starts with good communication. Basically groups are online forums that are created and managed through LinkedIn. Groups are similar to forums in that you should focus on topics that your customers are concerned about. Unless your customers are currently discussing your products and services, focus on a different and yet relevant topic of concern. In order to get started, think about the various topics and concerns that your customers may care about. Group topics based on challenges faced by your customers or areas where they might benefit from your help are great choices. When you are ready to create a group, first go to your LinkedIn profile. Make sure the name of the group is self-explanatory, so that people can immediately find out what it is about. You will have the option of making your group either closed or open. If you opt for a closed group, members will only be able to join when they receive a direct link. Establish clear guidelines when setting up a group. By doing so, you will ensure that the group is used for its intended purpose. Without guidelines, you could have problems with self-promotion and spam. 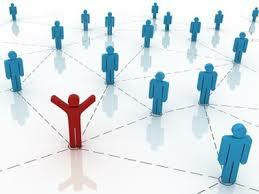 People often tend to join LinkedIn groups as a means of promoting their own business or website. When setting up your guidelines, make sure to note that this behavior will not be tolerated. In order to prevent spamming, make sure to actively manage your group. You should be checking in to monitor the discussions at least once a day. If you discover that somebody is violating your guidelines, e-mail them a warning and delete the post. If they continue to disregard your guidelines, remove them from your group. Of course, there are other ways to handle this kind of behavior. You might opt to create a sub-group specifically for the purpose of promotions. If somebody in the group wants to promote their business or site, they can do it there. It is best to set up groups so that you have to approve new members. By doing so, you will help prevent spamming problems. New members should be sent a welcome e-mail, letting them know they have been accepted. In this e-mail, you can let them know what the group is about and provide them with your contact information. Each day, set aside some time to monitor the group. After all, there is more to managing a good group besides simply starting it. Your presence in the group will add a personalized touch in addition to helping cut down on spam and inappropriate posts. Be sure to communicate frequently with group members. Be positive and personable when communicating. Start discussions and provide guidance whenever possible. By providing your expertise in a friendly fashion, your group will be a pleasant place that people will want to visit often. Taking an active role in finding new members can help your group – and your online marketing efforts – grow. Search LinkedIn profiles for individuals you feel could benefit from what your group has to offer. Send these individuals a personalized invitation to join your group – never resort to a “canned” or impersonal message. If you want to get good ideas you can use within your group, try joining a few other groups. Seeing how other groups work can be a great way to see what works best. You can then apply what you have learned to make your own group better. Once you have had a chance to see how groups work from the inside, you will find plenty of ways to add a unique touch to your group.